I’m not one to get jealous easily, especially when it comes to hair. I already mastered loose waves and the sleek ponytail to a T. Once, I even participated in a dare where I had to create an easy hairstyle in under five minutes — and I pulled it off. But I’ve got a confession to make. Have you ever met that girl? You know who I’m talking about. The one who walks into the room with a different hairstyle. Every. Single. Day. In comparison to that girl, my simple waves and easy pony totally fall flat. She turns heads wherever she goes, and I’ll admit it — it’s enough to pique my jeal– er, curiosity. Click here to see all 12 must-try hairstyles in the gallery. But rather than being “curious” from afar, I decided to learn how to get these classic hairstyles myself. And after some searching, I finally found the secret weapon. All I needed was a celebrity hairstylist to give me some step-by-step instructions (check!) and a celebrity photographer to take pictures of every part of the process (check again!). With the help of hairstylist Rick Farber from The Argyle Salon in Hollywood and celebrity photographer Andrew Stiles, you can finally learn how to do all those must-try hairstyles that everyone else seems to have down. So now, you can be that girl. Just don’t be surprised if you get some jealous glares as you walk down the street … because you definitely will. 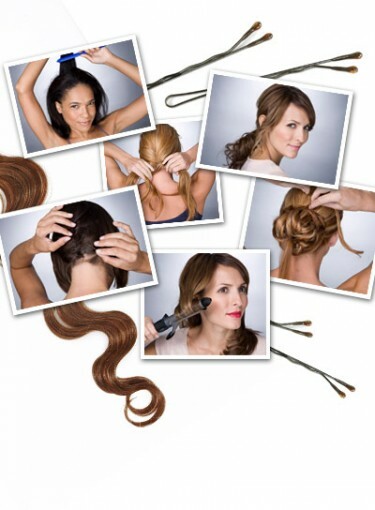 Click here to see how to get all 12 must-try hairstyles.